From EVE Online to Diablo III, this year we're celebrating a host of long-running classics. 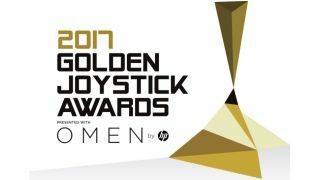 At this year's Golden Joystick Awards presented with OMEN by HP, we're not just celebrating the best games of the last 12 months. We'll also be spotlighting those enduring classics that we return to again and again. We did this for a few reasons—for many people, these are still the games that they play the most, whether it's an MMO, a long-running sports series, a multiplayer shooter or an endless journey for more loot. In the 'Still Playing' category of the Golden Joystick Awards, then, we're celebrating a bunch of these games. People can vote for the following titles: Final Fantasy XIV: A Realm Reborn, Diablo III, EVE Online, FIFA 17, Hearthstone, Minecraft, Overwatch, PES 2017, The Elder Scrolls Online and World of Tanks. There's a broad range of games in there, so hopefully there's one that's captured your imagination over the last few years, and you think is worth further acclaim. Just head here to cast your vote, and help celebrate the game of your choice, among many others. Voting is open until next Friday, and the ceremony itself is being livestreamed on the 17th of November. Expect interviews, trailers and more on the day. Voting now also gets you a free copy of a PC Gamer bookazine, worth £10/$10.